The cast of the ECCT production of Alice in Wonderland. 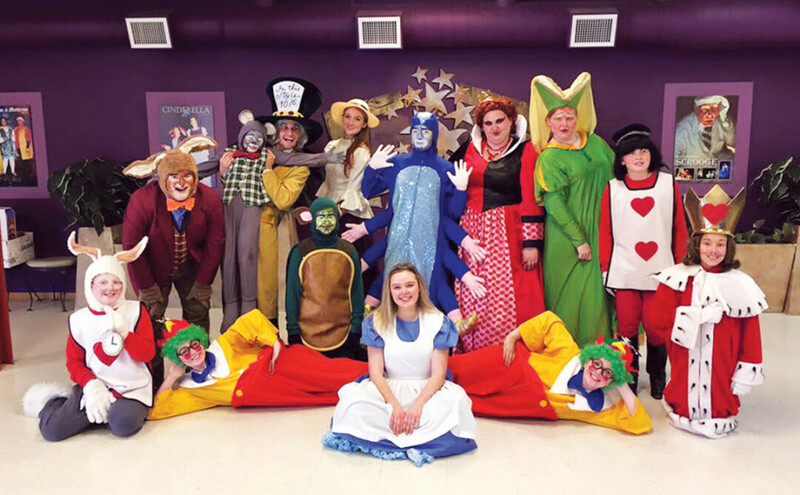 The Eau Claire Children’s Theatre’s production of Alice in Wonderland may have wrapped, but the fun and adventure aren’t over yet. You’ll have a second chance to visit Wonderland on Saturday, Nov. 14, when you head out to the Make Believe Ball. This ECCT fundraising event will run from 5:30pm to 10pm at the Plaza Hotel (1202 W. Clairemont Ave.). It’s hosted by the King and Queen of the Ball, Matt Malone and Sue Kelly from I-94 Radio. This magical evening includes something for each member of the family. There’ll be delights such as a jazz octet, dinner with live entertainment, and photo booth fun for all. For the adults there will also be a cash bar, after-dinner drinks, a silent auction, raffles, and games of chance. And the kiddos will be awed and enraptured by Mad Hatter hats, balloon animals, a magician, and more. Black tie dress is “admired, but not required,” as are festive attire or costumes for the kids. Tickets are limited, so call (715) 839-8877 for details.